Join IAIA Museum of Contemporary Native Arts (MoCNA) and artist Emily Johnson (Yup’ik) currently featured in MoCNA exhibition Without Boundaries: Visual Conversations. This discussion will happen via Skype™ (a video phone call, when projected onto a large screen allows for dynamic virtual dialogue). 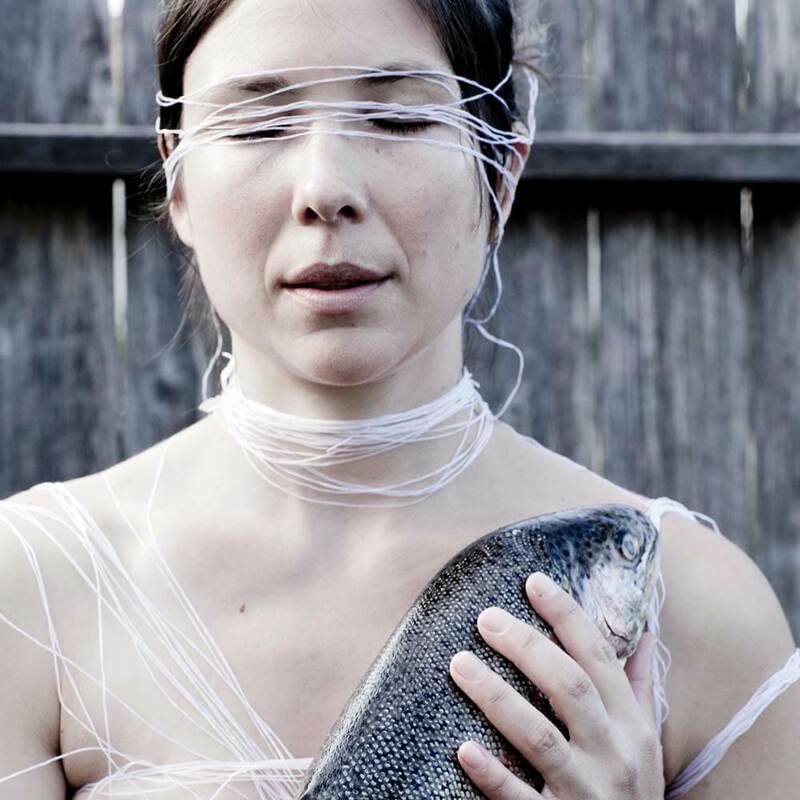 Emily Johnson (Yup’ik) is an artist who makes body-based work. A Bessie Award winning choreographer and 2015 Guggenheim Fellow in Choreography, Johnson is based in New York City. Originally from Alaska, she creates work that considers the experience of sensing and seeing performance. Her dances function as installations, engaging audiences within and through a space and environment—interacting with a place’s architecture, history, and role in community. Emily has received support from the 2014 Doris Duke Artist Award, Creative Capital, Native Arts and Cultures Foundation, Map Fund, a Joyce Award, the McKnight Foundation and New England Foundation for the Arts.